IMPORTANT: Computers upgraded to Windows 10 can also install this update. Hold down the [Windows] key and press the [R] key. The "Run" dialog box will open up. 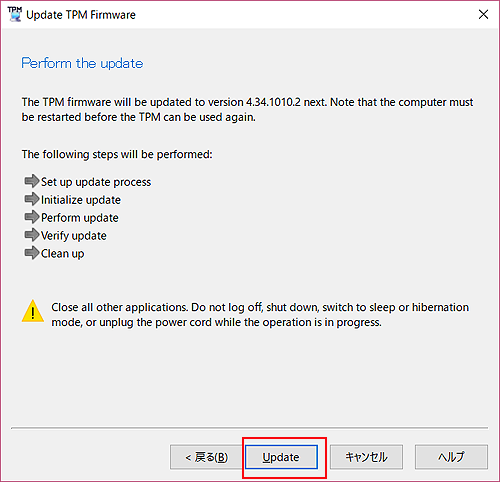 When you update, the TPM must be enabled. If you are not using the TPM now, update it when you use it. 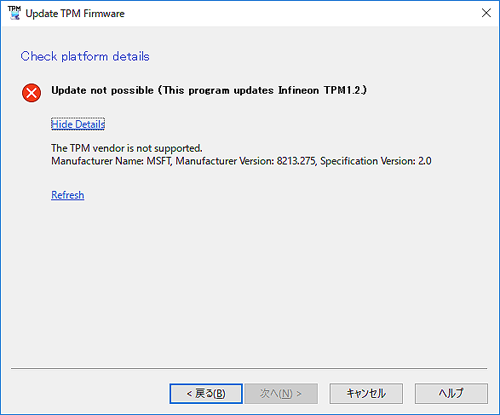 When you update the TPM firmware, the data in the TPM is lost. 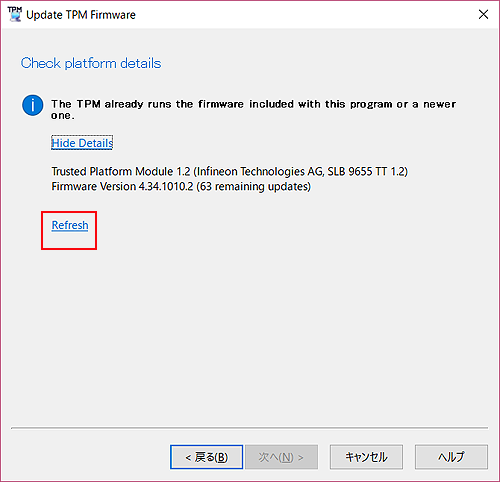 If you are using any application with the TPM, follow the instructions for the application. If you are using a Virtual Smart Card with the TPM, the information of the Virtual Smart Card is lost. 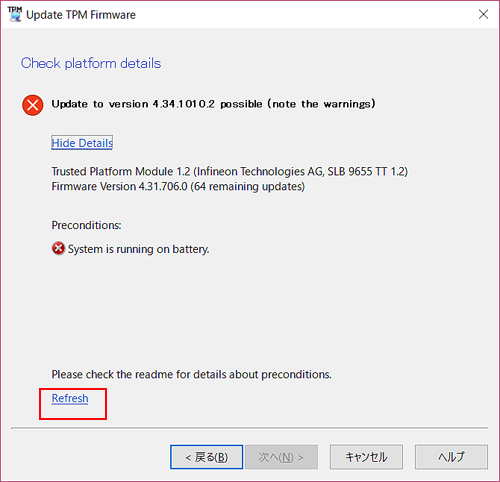 If you are using your Windows PIN with the TPM, you cannot use your current PIN after updating. If you have set the sign-in to use a PIN, please change the setting so that you can sign in without the PIN. 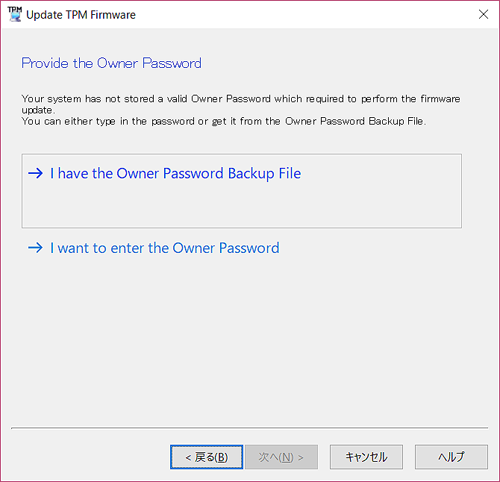 Select "Suspend protection" or "Turn off BitLocker" under Manage BitLocker.Follow these steps to show the BitLocker management screen. When you restart the computer, the protection is resumed. 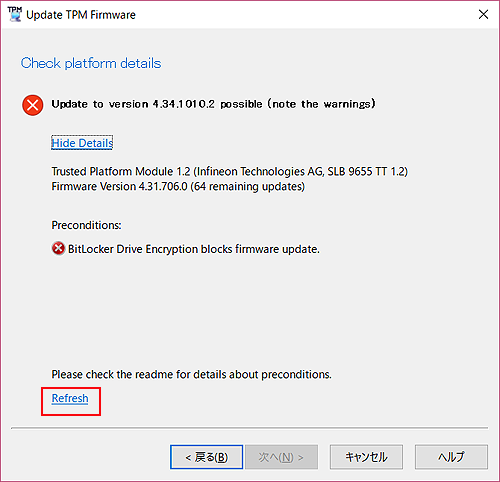 If the computer restarts before the update tool is executed, suspend BitLocker again. Hold down the [Windows] key and press the [R] key to open the "Run" dialog box. In the "Run" dialog box, type "tpm.msc" and select "OK". 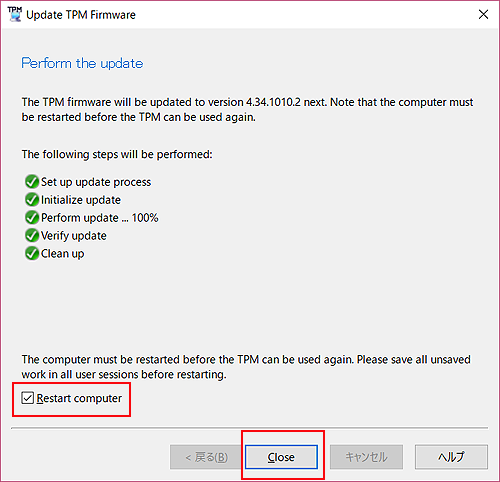 The computer will restart and display the message "TPM configuration change was required to State: Clear". Download EP0000605011.exe file and save it in a folder on your computer. Execute EP0000605011.exe. Select the target folder to extract. The computer restarts. Wait for the restart to be completed. 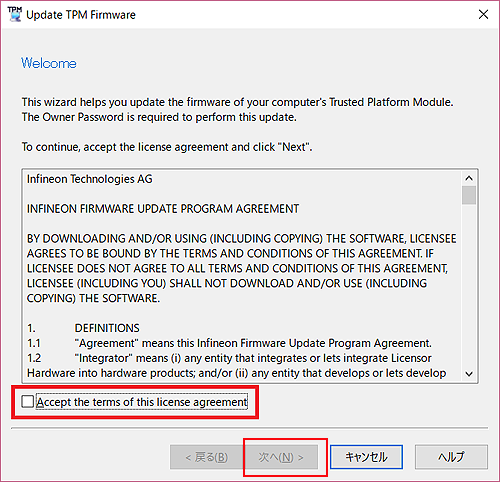 Click "Accept the terms of this license agreement", and select "Next". Connect AC adapter and select "Refresh". 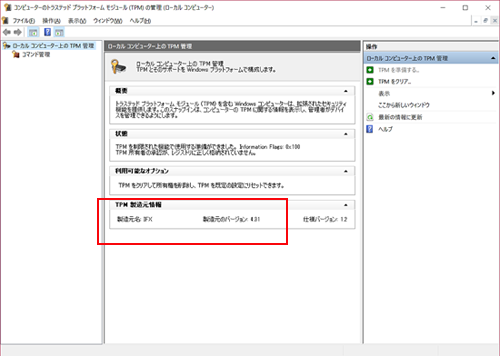 Clear the TPM (see "How to clear the TPM") and then resume from "Step 3: Clear TPM and confirm preparation". IMPORTANT: Do not suspend hibernation, restart or shut down the computer. When the update is completed, the computer will restart. 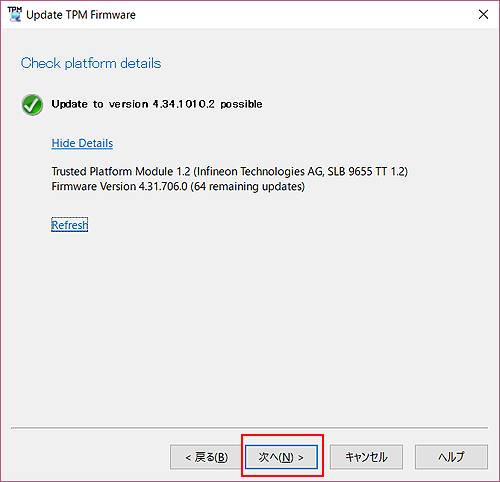 After the update, check if the new version has been installed successfully by following the steps in the [Check the firmware version] section. If the version shown is "4.34", the upgrade was successful.